The FEMA Hazard Mitigation Assistance Program was established to harden electrical distribution infrastructure against future storm damage and help restore power more quickly. Uniondale, NY - June 8, 2016 - PSEG Long Island is adding three circuit reliability projects in the Town of Babylon, including locations in the Village of Babylon and four additional circuit reliability projects across the Town of Brookhaven and in the Village of Mastic Beach. The FEMA funded circuit reliability projects are designed to harden the electric system to better withstand extreme weather like Superstorm Sandy and improve the reliability of the electric grid for local customers. 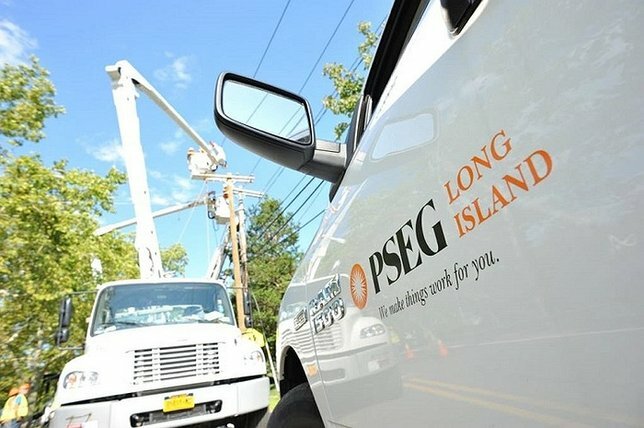 PSEG Long Island licensed and approved contractors will be working on these system improvements for approximately four months. Work will include replacing existing wires, installing new and more durable poles, and installing or replacing switching equipment to help reduce the number of customers affected by an outage. Two of the projects began in May and work is scheduled to start on the additional circuits later this month. PSEG Long Island licensed and approved contractors will be working on these four system improvements for approximately seven months. Work will include replacing existing wires, installing new and more durable poles, and installing or replacing switching equipment to help reduce the number of customers affected by an outage. “These FEMA reliability projects in Brookhaven, and across Long Island, are hardening the system to better withstand extreme weather like Superstorm Sandy and improving the reliability of the electric grid for thousands of our customers,” said John O’Connell, PSEG Long Island vice president of transmission and distribution operations. For more project details, including work locations, visit here. PSEG Long Island operates the Long Island Power Authority’s transmission and distribution system under a 12-year contract. PSEG Long Island is a subsidiary of Public Service Enterprise Group Incorporated (NYSE:PEG), a publicly traded diversified energy company with annual revenues of approximately $10.4 billion. LI's Adorable Adoptables: Calista the Cat & Fiona the Beagle! Subject: LongIsland.com - Your Name sent you Article details of "PSEG LI Begins Three FEMA Reliability Projects in Babylon and Adds Four Circuits to Projects in Brookhaven"